Stomatitis refers to an inflammatory process involving the mucous membrane of the mouth that may manifest itself through a variety of signs and symptoms including erythema, vesiculation, bulla formation, desquamation, sloughing, ulceration, pseudomembrane formation, and associated discomfort. Stomatitis may arise due to factors that may be of either local, isolated conditions or of systemic origin. For example, a solitary oral ulcer with a history of a recurrent pattern may be classified as recurrent aphthous stomatitis, a purely local phenomenon. Another clinically-similar-appearing lesion, on the other hand, may represent an oral mucosal manifestation of a more generalized disease process such as Crohn's disease. Stomatitis may involve any site in the oral cavity, including the vermillion of the lips, labial/buccal mucosa, dorsal/ventral tongue, floor of mouth and hard/soft palate, and gingivae. The differential diagnosis of stomatitis is challenging because the inflammatory response of the oral mucous membrane is nonspecific. The signs and symptoms of stomatitis (e.g., erythema, erosion, ulceration, pain, and discomfort) are the final common pathway for a wide variety of disease processes. For example, recurrent aphthous stomatitis, herpes simplex, and mucous membrane pemphigoid (MMP) all evolve to an ulcer even though early lesions may or may not be ulcerated. Differential diagnosis of stomatitis is an art and skill that must be practiced. It begins with a thorough understanding of the signs and symptoms of a wide variety of local and systemic disease processes that might be responsible for the patient's condition (1-4). One uses this knowledge to eliminate unlikely candidates and to identify particular entities as likely candidates (5-8). Knowledge of the relative incidence of each potential cause is important to make a realistic ordering of the list of possible diagnoses, since common things tend to happen commonly. Additional factors such as the patient's age, gender, and the anatomic location of the lesions are usually helpful in ordering the differential diagnosis. The goal in establishing a differential diagnosis should not be to develop a long laundry list of possibilities but to develop a short list of two to three conditions that might explain the patient's condition and serve as the basis to guide additional investigations to further refine the list. With a sound working diagnosis in hand, the appropriate initial management of the patient may begin. On occasion, a definitive diagnosis may not be reached and the patient' s response to treatment and disease progression may provide the additional knowledge to classify the disease process. When approaching a patient with a chief complaint suggesting stomatitis, one must first seek to understand the individual's current health status and drug history, as a number of disease processes that present as stomatitis may be manifestations of a systemic disease or related to the patient' s use of systemic medications. Determine the historical aspects of the particular complaint. There are a number of clinical features that are important to observe while gathering the clinical information to make a differential diagnosis for a patient presenting with stomatitis. If the patient is wearing a dental prosthesis, have him/her remove it, in order to perform a thorough examination. What is the clinical appearance of the lesions? If ulcers are present, determine whether they were preceded by blisters. Where are the lesions located? Are they predominately anterior or posterior in the oral cavity? Are the gingivae involved? The specific site and extent of involvement of the lesions may provide key clues, as some disease processes preferentially involve certain sites over other sites. Does it appear to be a generalized or localized process? The presence or absence of associated constitutional symptoms or other skin and mucosal lesions are useful pieces of information to narrow the considerations. Did the condition arise acutely or are the lesions part of a chronic process? The type of onset and the duration of the condition are critical to establish. Establishing or excluding a history of a chronic, recurring disease process with exacerbation and remission also helps to narrow the differential. Determine if there are local modifying factors present. Learn whether prior attempts at managing the condition have been successful. In addition to physical examination and clinical laboratory investigations, a number of adjunctive procedures are available including culture, exfoliative cytology, brush biopsy (Oral CDx), and incisional or excisional surgical biopsy. Appropriate planning is important, since additional laboratory studies may require special handling of specimens for proper submission. For example, direct immunofluorescence (DIF) studies require the biopsy specimen be submitted fresh and immediately frozen as the immunofluorescent reagents are applied to frozen sections. Alternatively, the specimen may be submitted in specific immunofluorescence transport media. Biopsy may not always provide a definitive answer since many conditions exhibit a nonspecific histopathologic appearance and cannot be differentiated on the basis of the microscopic changes. While biopsy may not provide a definitive diagnosis on all occasions, it may nevertheless be useful in excluding some conditions from the differential diagnosis. It is important to carefully consider the site of biopsy. In most cases, perilesional tissue provides the best features for pathologic interpretation. Gentle handling of the specimen, including avoidance of pinching with tissue forceps, anesthetic injection into the specimen, and tight knotting of suture material around the specimen, is important to avoid disruption of fragile tissue relations in inflammatory disease processes. Herpes simplex virus (HSV) infection of the oral mucous membrane may present as a generalized or localized stomatitis and is typically caused by herpes simplex virus type I (HSV-I), although an increasing number of oral infections are caused by type II virus due to creative sexual practices (9). The virus is transmitted by direct contact with infected saliva or secretions. Virus may be shed in the absence of active lesions. The majority of individuals in the population are seropositive, although few are able to recall a primary infection, indicating that the majority of primary infections are subclinical. Primary infection of the oral mucosa is followed by latency in the trigeminal ganglion. A percentage of those infected experience reactivation of the virus and subsequent secondary herpetic lesions. FIGURE 1 Primary herpetic gingivostomatitis. This 18-year-old female presented with constitutional symptoms, painful, tender, swollen, red gingiva and multiple oral ulcers covered by yellowish fibrinous membranes. The ulcers were preceded by vesicles that rapidly ruptured, producing confluent ulcers, which take on a geographic pattern. Source: Courtesy of Charles Dunlap, DDS. both the keratinized masticatory mucosa and the nonkeratinized mucosa. Lesions begin as vesicles and rapidly ulcerate to form confluent ulcers. 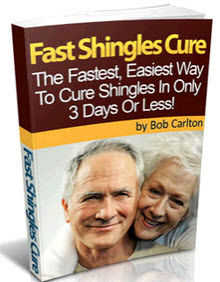 The lesions generally heal without scarring in 10 to 14 days. When triggered, the latent virus in the trigeminal ganglion travels down a sensory nerve axon to the respective dermatome, where it infects epithelial cells and produces vesicles at the affected site. Prior to the appearance of the vesicles, patients typically report prodromal symptoms of tingling. 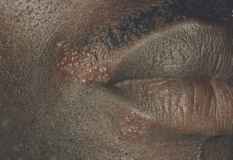 The vermillion border of the lip (herpes labialis) and adjacent skin is the most commonly affected site (Fig. 2). Common synonyms for herpes labialis include cold sores and fever blisters. Intraoral lesions of secondary herpes may be seen on the keratinized mucosa over bone (Fig. 3), typically on the palate or gingiva. FIGURE 2 Secondary herpes (herpes labialis). Young adult with a long history of recurrent lesions of lip that appear several times a year and heal in 10 to 14 days. Ulcers are preceded by small vesicles that rupture and crust. FIGURE 3 Recurrent intraoral herpes. This 30-year-old female experienced prodromal symptoms of itching and burning of palatal mucosa for less than one day followed by the appearance of multiple 1- to 2-mm painful vesicles. Note the slightly edematous, erythematous base. The lesions are now ulcerated, as the vesicles ruptured when a diagnostic exfoliative cytologic smear was harvested several minutes previously. The smear was diagnostic for herpes virus cytopathic effect. The patient did not recall an episode of primary infection. nonkeratinized mucosa. Recurrent intraoral herpes simplex is limited to involvement of the heavily keratinized masticatory mucosa of the gingiva and palate—areas that are located over bone and are fixed and nonmovable (Fig. 5). 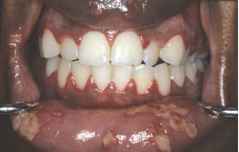 FIGURE 4 Herpetic gingivosto-matitis. 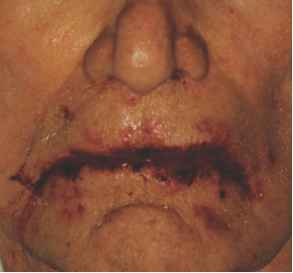 The crusted appearance of this elderly male's lips suggested the possibility of erythema multiforme. An exfolia-tive cytologic smear demonstrated the characteristic viral cytopathic effect of herpes simplex virus. FIGURE 5 Mucogingival junction. Observing the location of ulcers relative to the mucogingival junction is important in differentiating recurrent aphthous stomatitis from recurrent intraoral herpes simplex. Recurrent aphthous stomatitis generally involves the nonkeratinized, freely movable mucosa. Recurrent intraoral herpes simplex is limited to involvement of the heavily keratinized masticatory mucosa of the gingiva and palate—areas that are located over bone and are fixed and nonmovable. intravenous hydration. Systemic antiviral therapy may be effective if administered early in the course of the disease. Most cases of herpes labialis require only supportive care. Recent studies have shown modest benefit from topical pencyclovir 1%, if applied at the onset of prodromal symptoms. Avoidance of initiating factors such as ultraviolet light by using sunscreen is effective. Active herpetic lesions are sources of infectious virus that can be transmitted to other skin sites (herpes whitlow and herpes gladiatorum). The virus may also be autoinnoculated by transferring the organism from perioral lesions to the ocular mucosa. Herpetic encephalitis is a rare complication of herpetic infection. The clinical appearance of herpetic lesions may be atypical in the immunocompromised host, typically producing more chronic, painful lesions that are not limited to keratinized mucosa in distribution (10). In such situations, systemic acyclovir is effective in limiting the morbidity associated with the lesions. Refer to section on Herpetic glossitis later in this chapter. A number of cases of recurrent EM are preceded by recurrent herpes simplex (Fig. 6). 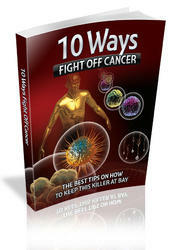 The herpes viruses are discussed in more detail in Chapter 10. FIGURE 6 Erythema multiforme. Young male with explosive onset of widespread oral ulceration. Note the lack of peripheral keratotic striae. FIGURE 7 Solitary minor aphthous lesion. This solitary ulcer began as a red macule that subsequently ulcerated. A yellowish fibrinous membrane covers the surface. Note the erythematous halo at the periphery of the ulcer. The intensity of the erythematous flare may be related to the degree of secondary infection. On a dry skin surface this fibrinopurulent membrane would appear as a crust. during their lifetime. The etiology of recurrent aphthous stomatitis is poorly understood. It may not even be a single disease entity since the associated factors seem to be different in different individuals. The infiltrate of T-lymphocytes present in these lesions points to some type of immunologic process (11-15). Aphthae arise as erythematous macules that soon ulcerate and are covered by a fibrinous membrane. Aphthae are ulcerated lesions from their inception. They are not preceded by vesicles. There are several clinical forms of aphthae: minor, major, and herpetiform. Smaller, shallow aphthae less than 0.5 cm are termed minor aphthae and may be solitary (Fig. 7) or multiple (Fig. 8). An erythematous halo frequently surrounds the ulcerated area. They are relatively superficial and heal without scarring in 7 to 10 days. Larger, deeper aphthae greater than 0.5 cm are termed major aphthae (Fig. 9). As with minor apthae, major aphthae may be solitary or multiple. Due to the depth and extent of tissue destruction, they are slower to heal and often heal with scarring. FIGURE 8 Multiple minor aphthae. This individual relates a history of recurring multiple aphthae. These five lesions of the lower lip arose several days previously. Involvement of the process is limited to this site. Aphthae located on highly movable structures such as the lower lip may produce a high degree of discomfort. FIGURE 9 Solitary major aphtha. Adult male with a large, deep lesion of lower lip present for two weeks. Borders are rolled and indurated. Because they are associated with deeper destruction and healing by secondary intention, major aphthae may heal with scarring. term "herpetiform" refers to the clinical appearance of the ulcers that resemble the ulcers produced by the HSV. The herpes virus is not the cause. Patients will generally relate a history of recurrence of similar lesions. One of the considerations in the differential diagnosis of aphthous stomatitis is herpetic stomatitis. Recurrent intraoral herpes occurs on the keratinized mucosa of the palate and gingiva, whereas aphthous stomatitis occurs almost exclusively on the nonkeratinized mucosa (Fig. 5). Aphthous stomatitis should not be confused with primary herpetic gingivosto-matitis due to the lack of both constitutional symptoms and of gingival involvement in the former. EM exhibits an acute onset, where aphthous stomatitis is a chronic disease. Traumatic ulcers may resemble aphthae; however, the clinical history is helpful in distinguishing them (Figs. 11 and 12). Other conditions such as Crohn's disease (Fig. 13), celiac disease, ulcerative colitis, neutropenia, Behcet's disease, and Reiter syndrome may be associated with oral mucosal ulcers indistinguishable from aphthous stomatitis (16). Crohn's disease and ulcerative colitis are discussed in detail in Chapter 20 and Behcet's disease in Chapter 3. Aphthae located on highly movable structures such as the tongue and soft palate produce a high degree of discomfort. Topical analgesics may be used to reduce local discomfort. Topical steroids are also effective in reducing symptoms, as is Amlexanox (17). Short-term systemic steroid therapy is effective for lesions failing topical treatment. The treatment goal should generally be not to achieve a cure but to palliate and reduce the frequency of recurrence. Major aphthae may heal with scarring. In HIV-positive individuals, aphthous lesions follow a different course than in immunocompetent persons. In HIV-infected individuals, aphthae tend to occur more frequently, heal more slowly, and cause more discomfort (18). Intralesional steroid injections may be required to resolve severe aphthous lesions in HIV-infected individuals. FIGURE 10 Herpetiform aphthae. Herpetiform aphthae are so named because the clinical appearance resembles that of herpes simplex. The lesions of recurrent intraoral herpes simplex arise on the keratinized masticatory mucosa, which is fixed and immobile and located over the bone. These aphthae involve the freely movable nonkeratinized mucosa. Based on the clinical appearance, pseudomembraneous candidiasis could be included in the differential diagnosis; however, these lesions do not wipe off and are quite painful. Source: Courtesy of Charles Dunlap, DDS. reactivation. In contrast to HSV, in which the primary infection is usually subclinical, the primary infection of varicella zoster virus commonly produces symptomatic disease as varicella (chicken pox). Reactivation of the latent virus in the trigeminal ganglion due to a compromise in immunity produces a prodrome of pain in the distribution of the involved trigeminal nerve division that precedes the skin/mucosal lesions of herpes zoster (shingles). FIGURE 11 Traumatic ulcer. This is a chronic ulcer associated with several broken-down sharp teeth in the mandibular dental arch. The white periphery, slightly rolled border, and clinical history of nonrecurrence and chronicity help differentiate it from recurrent aphthous stomatitis. Since this is a high-risk site for oral cancer, this lesion should be submitted for microscopic examination, should it not regress after elimination of the suspected etiologic agent. Although vesicles that rupture to form shallow ulcers may involve any oral mucosal site in varicella, the differential diagnosis is not usually problematic due to the constitutional symptoms and cutaneous lesions that dominate the clinical picture. In the early phase of zoster, the clinical picture is dominated by prodromal pain in the distribution of the involved nerves. Subsequently, vesicles develop that rupture and frequently become confluent. The lesions may involve the skin or mucosa of any of the branches of the trigeminal nerve and are characteristic in their unilateral distribution that stops at the midline. A cytologic smear of the vesicle fluid will exhibit the viral cytopathic effect common to both the HSV and the herpes zoster virus. Occasionally, it may be difficult to differentiate zoster from a zosteriform eruption of recurrent intraoral herpes simplex. Immunofluorescent staining of a cytologic smear for varicella zoster may be required to differentiate these lesions (1). Immunocompromised patients may exhibit an atypical pattern of involvement. FIGURE 12 Traumatic ulcer. This child traumatized her anesthetized lower lip by chewing on it. The irregular ulcer is covered by a yellowish fibrinous membrane. The history and irregular appearance aid in distinguishing it from an aphthous lesion. FIGURE 13 Crohn's disease. This individual has Crohn's disease affecting the gastrointestinal tract. These ulcers of the soft palate mucosa, although clinically aphthous-like in appearance, exhibit granulomatous inflammation consistent with Crohn's disease. Oral antiviral medications are effective treatment for herpes zoster. The addition of oral corticosteroids is effective in reducing the morbidity of postherpetic neuralgia, which may produce pain outlasting the clinical lesions by months or more. Candida species are common commensal inhabitants of the oral cavity that may produce disease when predisposing factors shift the balance in the favor of the opportunistic organism. Common predisposing factors include antibiotic therapy, steroid therapy, xerostomia, and immunodeficiency. The lesions produced by overgrowth of Candida on the mucosal surface range from white or red lesions to combination of red and white lesions. Acute pseudomembranous candidiasis (thrush) (Fig. 14) exhibits white, curd-like lesions that are easily wiped off. Atrophic candidiasis exhibits a red mucosal surface secondary to epithelial atrophy and mucosal inflammation (Figs. 15 and 16). Angular cheilitis (Perleche) is a localized inflammatory lesion, frequently associated with candidal and bacterial infection involving the angles of the mouth (Fig. 17), which exhibits erythema, fissuring, and crusting. FIGURE 14 Acute pseudomembraneous candidiasis. This adult female developed candidiasis secondary to the extended use of oral topical steroids. She complained of generalized low-grade mucosal discomfort and an unpleasant taste in her mouth. The white colonies of Candida species, which consist of mattes of fungal pseudohyphae and desquamated epithelial debris, are easily wiped from the mucosal surface. The mucosa underlying the fungal colonies may be erythematous and may even bleed slightly. This was not the case in this patient, as the two posterior colonies of the upper lip mucosa in the left-hand figure revealed an intact mucosal surface when removed. FIGURE 15 Erythematous candidiasis. This adult male complained of burning and low-grade discomfort when eating. A fungal culture was strongly positive for typical candidal colonies with 24 hours of incubation. The lesion cleared in several days with clotrimazole troches. Pseudomembranous candidiasis is the most common form of oral candidiasis. It is generally accompanied by rather mild symptoms of burning and altered taste. Atrophic candidiasis is associated with a greater degree of burning discomfort and frequently is associated with antibiotic use. Orally inhaled steroids also predispose to the development of oral candidiasis. Lesions that may resemble acute pseudomembraneous candidiasis include traumatic lesions (Fig. 18), erythema migrans, (Figs. 19-21), and pseudomem-brane-covered aphthae, which are quite painful (Fig. 10). Pyostomatitis vegetans (Fig. 22), the oral mucosal lesion associated with ulcerative colitis, may superficially resemble pseudomembraneous candidiasis; however, the lesions cannot be wiped off the surface. Atrophic candidiasis must be differentiated from erythroplakia (Fig. 23). Depending on the severity of the disease process, topical or systemic antifungal therapy may be used. Angular cheilitis is treated with topical antifungal agents. Identification and correction of any local or systemic predisposing factors (long-term antibiotics, steroids, diabetes, and immunosuppression) is important to prevent recurrence of the disease process (19). FIGURE 16 Erythematous candidiasis. This edentulous 68-year-old female complained of a sore mouth. The mucosa beneath her maxillary complete denture was erythematous and tender. She wore her denture continuously and attended to very little denture hygiene. The lesion cleared in response to topical antifungal therapy of both the mucosa and the denture base material (soaking the denture in nystatin suspension). FIGURE 17 Angular cheilitis. This young adult male complained of painful cracking and fissuring at the angles of his mouth for the past two weeks. The lesions healed in seven days with topical antifungal therapy. FIGURE 18 Chemical burn. This adult male placed aspirin tablets in the mandibular vestibule to relieve tooth discomfort. The clinical history is important in differentiating these lesions from acute pseudo-membraneous candidiasis, which is not usually difficult. FIGURE 19 Acute pseudomembraneous candidiasis. This adult female complained of a burning mouth. These lesions of acute pseudomembraneous candidiasis bear a striking resemblance to erythema migrans (Figs. 20 and 21). partially surrounded by a raised, serpiginous white line at the junction with uninvolved tissue. The lesions change patterns over time. The histopathology is highly suggestive of psoriasis. The cause of erythema migrans is unknown. When erythema migrans occurs on the dorsum of the tongue, the clinical appearance is usually sufficiently distinctive to identify it on a clinical basis. It may cause confusion, however, when it involves sites other than the dorsal tongue (Fig. 20). In these cases, it must be differentiated from pseudomembraneous candidiasis (Fig. 21), erythroplakia, and lichenoid mucositis. FIGURE 20 Erythema migrans. At sites other than the typical dorsal tongue location, erythema migrans may cause differential diagnostic confusion if one is not familiar with this clinical presentation. Red lesions in a high-risk site for oral cancer (floor of mouth) should be viewed with suspicion. In this case, the clinical features are typical, consisting of an erythematous, atrophic zone partially surrounded by a raised, serpiginous white line. If there is doubt, a biopsy should be performed. Source: Courtesy of Charles Dunlap, DDS. FIGURE 21 Erythema migrans. This is an unusual presentation of erythema migrans in its usual location on the dorsal tongue. The patient, an adult male microbiologist, reported that over the years it was repeatedly confused with pseudomembra-neous candidiasis. FIGURE 22 Pyostomatitis vegetans. This 49-year-old male with ulcerative colitis exhibits multiple yellowish-white plaques of the oral mucosa histologically consistent with pyostomatitis vegetans, the oral mucosal lesions of ulcerative colitis. Source: Courtesy of Bruce Barker, DDS. Asymptomatic erythema migrans is not usually a clinical management problem. On the occasions when it is symptomatic, topical steroids are effective. The treatment goal should be to resolve the symptoms rather than eliminate the lesions. FIGURE 23 Erythroplakia. This 75-year-old male presented with a three-month history of discomfort involving the lateral border of his tongue. The lesion was nonindurated, exhibited a loss of the normal papillary surface and was mildly tender to palpation. A diagnostic biopsy was performed immediately and was diagnostic for squamous cell carcinoma. Coxsackie virus infection may be associated with stomatitis secondary to multiple oral mucosal vesicles that rupture, forming shallow ulcers. Herpangina and hand, foot, and mouth disease are caused by specific strains of the Coxsackie virus. In both, the typical lesions are associated with flu-like symptoms. FIGURE 24 Erythema migrans. Also referred to as stomatitis areata migrans or a geographic tongue when it occurs on the dorsal tongue, its most common location. Although usually asymptomatic, it may cause a mild burning sensation. Frequent observation will demonstrate its changing pattern. FIGURE 25 Herpangina. This individual complained of a sore throat and a low-grade fever. Note the posterior location in the oral cavity. The erythematous zone on the left soft palate contains three intact vesicles in a linear arrangement. may be a known history of contact with an infected individual. Primary herpetic gingivostomatitis is associated with lesions more diffusely distributed throughout the mouth and usually exhibits a painful erythematous gingivitis. Recurrent aphthous stomatitis is not preceded by vesicles and is unassociated with systemic symptoms. Treatment is supportive and symptomatic. Coxsackie virus infections are usually self-limiting and are typically unassociated with significant complications. Lichen planus is a chronic immunologically mediated mucocutaneous disease. Although the cause of lichen planus is unknown, the tissue manifestation is a dense infiltrate of T-lymphocytes within the lamina propria at the epithelial-connective tissue interface that damage the basal epithelial cell layer (20). The oral mucosal lesions of lichen planus appear in several forms. The most common presentation is the reticular form, which generally produces no symptoms. The erosive variant is associated with zones of erosion and ulceration within the reticulated areas that may produce significant morbidity (Fig. 27). Desquamative gingivitis (Fig. 28) is frequently seen in lichen planus. The lesions of erosive lichen planus are seen most frequently on the buccal mucosa, usually bilaterally. FIGURE 26 Hand, foot, and mouth disease. In contrast to herpangina, which is usually associated with lesions in the posterior oral cavity, the lesions of hand, foot, and mouth disease are usually confined to the anterior oral cavity. These lesions on the lateral tongue consist of painful ulcerations. This young adult also exhibited lesions of the skin of the hands and feet. FIGURE 27 Erosive lichen planus. This middle-aged female exhibited bilateral painful lesions of erosive lichen planus as well as desquamative lesions of the gingiva. Note the central stellate ulcer covered with a yellowish fibrinous membrane surrounded by radiating white striae (of Wickham). There were no skin lesions of lichen planus. The therapeutic goal was to reduce pain and discomfort. Therapy consisted of a short burst of systemic corticosteroids in conjunction with topical steroids. The ulcerations healed within 10 days, leaving asymptomatic white striae. Lichenoid lesions clinically identical to erosive lichen planus may be seen in lichenoid drug reactions (Fig. 29), chronic hepatitis C infection (Fig. 30), graft-versus-host disease, and lupus erythematosus. Direct immunofluorescent examination of lesions of lichen planus exhibits immunoreactants for fibrinogen in a continuous shaggy-appearing deposit along the basement membrane zone. Histologically, premalignant epithelial lesions may simulate the histology of lichen planus (lichenoid dysplasia). Chronic ulcerative stomatitis (CUS) should be included in the clinical differential diagnosis of erosive lichen planus. DIF in CUS reveals the presence of stratified epithelium-specific antinuclear antibodies (21,22). FIGURE 28 Desquamative gingivitis in lichen planus. 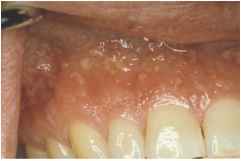 This is the typical clinical appearance of desquamative gingivitis, a clinical reaction pattern that is seen in a number of disease processes, including lichen planus, mucous membrane pemphi-goid, and pemphigus vulgaris. Source: Photo Credit: Bruce Barker, DDS. FIGURE 29 Lichenoid drug reaction. Note the central irregular ulceration covered by a yellowish fibrinous membrane surrounded by a peripheral erythematous, eroded zone and radiating white striae (of Wickham). This lesion represents a liche-noid drug reaction to a thiazide diuretic, a class of drug often associated with such reactions. This lesion is clinically identical to erosive lichen planus. disease process, topical or systemic corticosteroids are effective (23). The therapeutic goal should be to provide relief of symptoms while minimizing the untoward effects of treatment. There are reports in the literature that erosive lichen planus predisposes to the development of squamous cell carcinoma. This controversy is clouded by the finding of epithelial dysplastic lesions with a lymphocytic infiltrate mimicking the histologic appearance of lichen planus. It is possible that these lichenoid dysplasias were misinterpreted as lichen planus. Until this issue is resolved, it is prudent to consider that there may be a predisposition, albeit small, to malignant transformation in erosive lichen planus, and prudent to provide appropriate clinical management of these patients.